Provide comfort for the family of Audrey Andrews with a meaningful gesture of sympathy. Andrews, Audrey Kathleen (nee Couch)- Passed away peacefully at Cedarvale Lodge, Keswick on Thursday April 4, 2019 at 88 years of age. Loving wife of the late Donald Andrews. Loving mother of Holly and Wayne Andrews, Catherine and Jim Tysick and Carolyn and Gerald Kellington. Loving sister of Ron and Fay Couch and sister-in-law of Evelyn Varney. Proud Grandma of Matthew (Mallory), David, Jonathan (Rebekah), Amelia (Simon) and Andrew (Tanya). Audrey was a special daughter, sister, wife, mother, grandmother, aunt and friend. She was dearly loved and will be forever missed.A special thanks to Cedarvale staff and volunteers for their kindness and care. Friends may call at the Holt Free Methodist Church, 19198 McCowan Rd., Mount Albert for visitation on Sunday April 6, 2019 from 6-9 p.m. and on Monday April 7, 2019 from 12 noon - 1 p.m. followed by a funeral service in the sanctuary at 1 p.m. Interment will take place at Mount Albert Cemetery, 19675 Centre Street. Donations to Holt Free Methodist Church, 19198 McCowan Rd., Mt. Albert L0G 1M0 would be appreciated. To send flowers in memory of Audrey Kathleen Andrews (Couch), please visit our Heartfelt Sympathies Store. 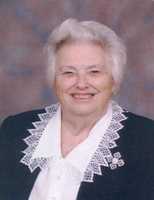 Provide comfort for the family of Audrey Kathleen Andrews (Couch) by sending flowers. 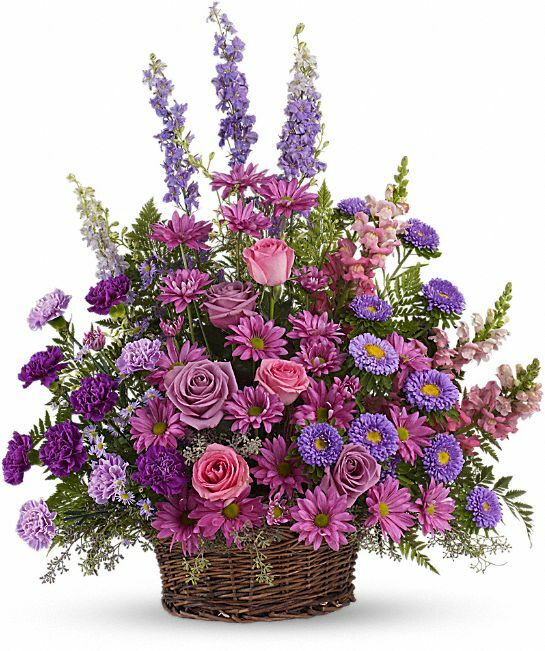 Heartfelt Sympathies Store purchased the Gracious Lavender Basket for the family of Audrey Andrews.